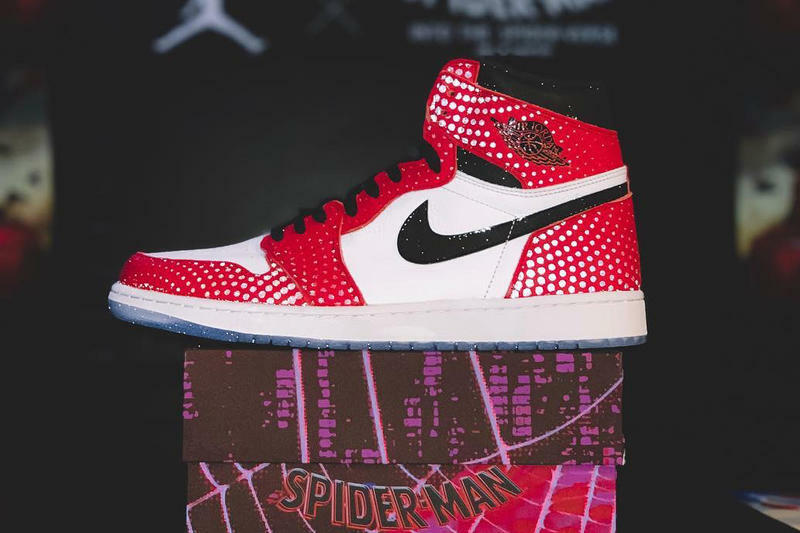 In anticipation of the upcoming Sony’s Spiderman movie “Spider-Man: Into the Spider-Verse,” Jordan Brand will be releasing a limited edition “Origin Story” Air Jordan 1. 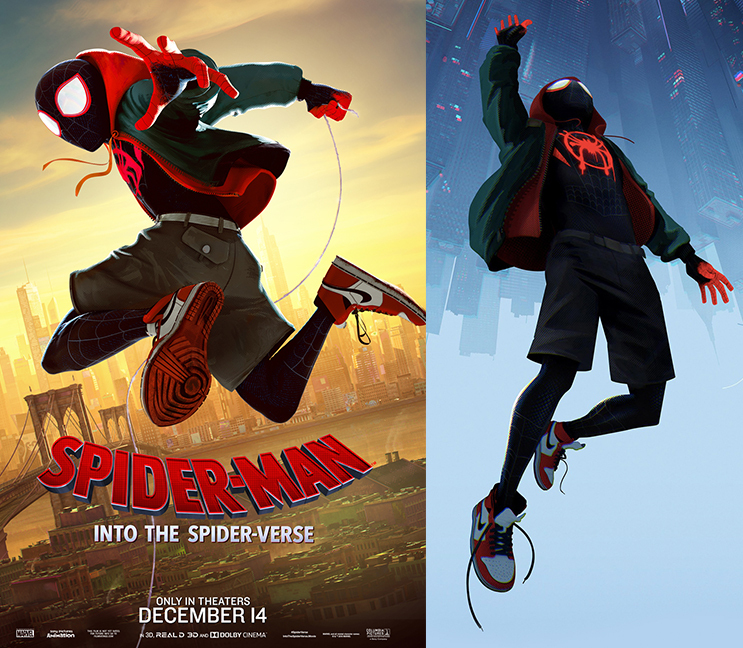 The colourway draws inspiration from the main character ‘Miles Morales, who wears the kicks during the movie. Miles Morales was created by writer Brian Michael Bendis and artist Sara Pichelli. Bendis and then Marvel editor in chief Axel Alonso drew inspiration from President Barack Obama and actor Donald Glover. Morales, an Afro-Latino teenager, first appeared in Ultimate Fallout #4 following the death of Peter Parker. Back to the shoe, it is dressed in a red, black and white colour scheme. The model sports a dotted textured detail for the red leather panelling to go with its white tumbled leather base. 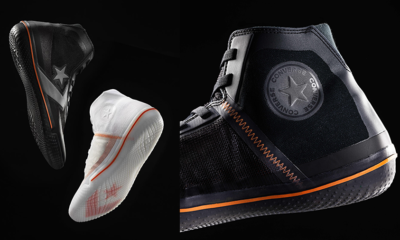 Other details include the Nike Air branding on the tongues, wings logo on the ankles and an icy crystal clear outsole. However, the shoes will come in a usual (Black & Red) Air Jordan 1 box NOT the one pictured below. 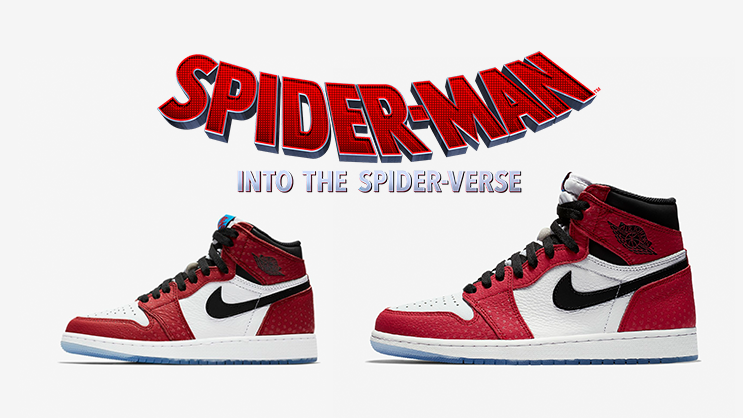 Look out for the Air Jordan 1 Retro High OG “Spider-Verse” to release on Friday, 14 December 2018 online via Nike.com in Men’s and Kids sizes. 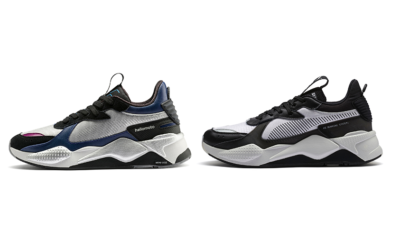 The retail price is set at R 2,199.95 (Men’s sizes) and R 1,599.95 for (Kids sizes).